The Coastal Quilt Artists (CQA) will be exhibiting their work at the Bridgewater Public Library during March and April. 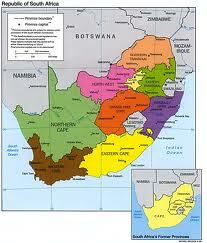 CQA was formed in the autumn of 2003. This eclectic group of women is comprised of quilt artists from Boston and the South Shore. Some members were former students of Kathleen Weinheimer (1940-1996), a prominent Bridgewater quilt artist. Exhibitors are: Lynne Conover, Betty Crowell, Janet Duncan Dignan, Janet Dye, Sandy Gregg, Anne Marcin, Penny Myles, Graciela Piccolo, Joan Randall, Mary Lou Schwinn, Pat Smith, and Bobbie Sullivan. The Quilters will be at the library on Saturday, April 21st, to speak about the art of quilting. The program is scheduled for 11a.m. in the Flora T. Little Meeting Room. The public is cordially invited to view the show when the library is open. Library hours are: Monday – Wednesday 9a.m.-8p.m. ; Thursday 9a.m.-6p.m. ; Friday 9a.m.-5p.m. ; Saturday 10a.m.-2p.m. The library is located at 15 South Street; parking is available in back of the library. Phillip Caramello a finalist on Sweet Genius, a Food Network Show and Lisa Lundin of Just Desserts, Bridgewater will square off to claim the crown of most delicious cupcake. A showdown of these two master pastry chefs will kick off the grand opening of The Cupcake Shack on Sunday, March 4 from 1 until 3pm. The Cupcake Shack is located in the Independence Mall in Kingston. The Cupcake Shack will play host to a cupcake taste-off that will allow the public to decide who bakes the best cupcake. Additionally, the event will feature cupcake decorating and mini cupcake tastings. The winner of the taste-off will get the opportunity to feature their cupcakes at “The Shack” which carries a variety of baked goods as well as Jim’s Organic Coffee. The battle between Phillip Caramello, a renowned pastry chef who has worked at the Ritz-Carlton and will now show off his culinary genius on the Food Network show, Sweet Genius and Lisa Lundin, owner of Just Desserts, a local favorite, who’s flavors include white chocolate raspberry and key lime, is sure to whet our appetites and leave us craving for more. Nestled inside The Book Shack, an expansive new value-driven bookstore, that brings books to life through storytelling, theatre, lectures and workshops, and features comedy shows, psychics and musical guests, accommodating up to 250 people, The Cupcake Shack will bring a new element to this already exciting venue. The Cupcake Shack will feature a party room that is available to be booked for everything from birthday parties to corporate team building functions. On 16 March 1945, the west Pacific volcanic island of Iwo Jima is declared secured by the U.S. military after months of fiercely fighting its Japanese defenders. The amphibious landings of Marines began the morning of 19 February1945, as the secretary of the Navy, James Forrestal, accompanied by journalists, surveyed the scene from a command ship offshore. The Marines made their way onto the island--and seven Japanese battalions opened fire, obliterating them. By that evening, more than 550 Marines were dead and more than 1,800 were wounded. 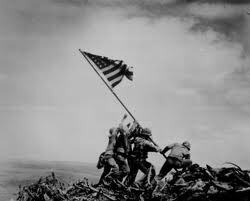 On 16 March, with a U.S. Navy military government established, Iwo Jima was declared secured and the fighting over. When all was done, more than 6,000 Marines died fighting for the island, along with almost all the 21,000 Japanese soldiers trying to defend it. The Bridgewater Public Library will be transformed into an 18 hole miniature golf course “fore” a day of competition and fun, from 11a.m. to 3p.m. on Sunday, March 11th. The course will end at the “19th” hole, where snacks and cold beverages will be for sale. Last year this event was our most successful fundraiser, bringing in over $3,000. The funds were used to provide educational programs for children and adults as well as books and much needed supplies for the library. The friends would like to thank the following individuals, businesses and organizations for their generous donations: Morse Insurance Agency, Bridgewater Public Library Board of Trustees, R.J. Gabriel Construction Company, Inc., BSE Print Solutions, Bridgewater Pediatrics, Mayflower Bank, The Fairway Agency, Inc., and Prophett-Chapman Cole & Gleason Funeral Home. A special thanks is extended to Grant’s Rental who is sponsoring the First Tee and the Bridgewater Business Association who is sponsoring the 19th Hole. There are still opportunities available for sponsoring the library’s Mini-Masters or to volunteer before, after or during this fun event. For more information call Rebecca at 508-472-7071 or email at rebeccamcgrath@morseins.com. This is a positive way for Bridgewater to come together in support of the library, and have a “hole” lot of fun. This will be one day that kids are allowed to be loud in the library! 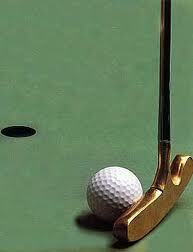 So come putter around and enjoy the library’s 2nd Mini-Masters. The Library will not be open for business during the tournament. The Bridgewater Community Emergency Response Team (BCERT), as part of the Town of Bridgewater’s Emergency Management Department, is recruiting community based volunteers who can serve during local or regional emergencies and/or assist with public health and safety needs during the year. Participation may include shelter support, Red Cross assistance and basic emergency response. Find out more about this unique opportunity where you can make a difference in our community! During this 11-week course you will be trained in Disaster Preparedness, Damage Assessment, Basic First Aid, CPR, Fire Safety, Disaster Medical Operations, Light Search & Rescue and more! Training and Continuing Education classes are offered at NO COST to Bridgewater Residents 18 and over. All interested residents are subject to a CORI background check in order to participate. When: Monday, March 19th, 7:00 p.m.
For more information or to sign up please contact Jennifer Fallon at BridgewaterCERT@gmail.com or 508-245-5749 and provide your name, address, telephone number and e-mail address. The Bridgewater Police Department is offering an Introduction to Women's Self Defense starting April 1st from 7-9PM at the Bridgewater Senior Center. For more information and details on how to register, please click here. Around the Common welcomes Disciples Baptist Church to the Bridgewater Places of Worship listing. Welcome to town! Corned beef and cabbage dinner with entertainment available all for just $5.00. Please call the Senior Center to register at 508-697-0929. Admission includes a hot dog option for children, dessert and entertainment provided by the Pack 35 Cub Scout Dens.Vote on your favorite Den skit or Den performance. 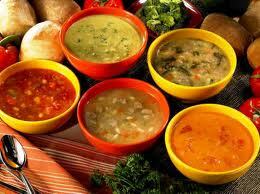 Vote on Best Chili or Best Chowder/Soup. Voting ends at 5:45 with awards to follow. Come and support Pack 35 and enjoy the fun! Admission: $5 per person with a $20 max per family or free admission for each chili, chowder or soup contestant. 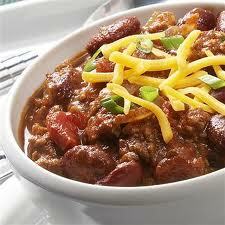 Chili, chowder or soup contestants must arrive no later than 3:30 PM with their prepared and warm entry in a crock pot. Bring whatever compliments your entry if you wish (cheese, crackers, chips, sour cream, other). Bring your own ladle. Bowls, napkins and spoons will be provided. Have a title for your entry in mind and be ready to state it upon arriving. If you have any questions, please call Kate at 508.535.9780. Cub Scout Pack 35 is hosting an upcoming meat raffle. 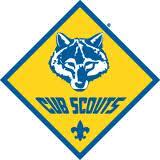 Help Pack 35 fund another year of great fun, learning and growth for the Cub Scouts in Bridgewater. Age appropriate activities will be available for the kids and light refreshments. Drinks, soda and hot dogs will be available for purchase. Meet Kristi Marsh, who will speak about "Goin' Organic with a Budget Friendly Attitude", on Saturday, February 18th at 11 AM. Find out where to start, the definitions of organic, sustainable, local and natural and learn about the benefits of farm fresh fruits and veggies, happy meat, healthy eggs, hormone free milk. "Goin' Organic" will be held in the Flora T. Little Meeting Room on the library's lower level. Light refreshments, including organic coffee and healthy cookies, will be served. in a democratic South Africa"
Michael Sutcliffe, South African geographer, urban planner, and city manager will give a lecture on the social, political, and spatial transformation of South Africa. Dr. Sutcliffe has a Ph.D. in Geography from Ohio State and he was until Dec 2011 the City Manager of Durban, South Africa. He was chairperson of the post-apartheid demarcation project that re-defined municipal and provincial regions, substantially changing the politics in South Africa towards a far more democratic system than it otherwise would have had. Around the Common welcomes our newest Bridgewater Business Listing Whole Life Fitness. Here is some information about the business and an upcoming open house they are sponsoring. Are you a woman who is interested in finding a healthier balance in your life? Are you unsure how to include exercise and nutritious eating in your day-to-day? If so, we would love to meet you. Please consider yourself invited to our OPEN HOUSE, Sunday, February 28th, from 4-5pm at Bridgewater Fitness Center, 620 Bedford St. Come to learn about our program and get a special discount for attending! For more information, check us out at http://www.bridgewaterfitness.com/WholeLifeFitness.html. Whole Life Fitness is a program designed to assist women find balance and wellness in their life. This balance can be found through mind, body and nutrition. We realize the importance of exercise which is what drives this program. Exercise, however, is just one aspect of being and feeling well. Whole Life Fitness provides more than just an amazing fitness experience. We go a step beyond and incorporate the importance of not only nutrition, but tying together all three components (mind, body and nutrition) to achieve your goals of overall health and balance – for life. The BR-SEPAC’s February monthly meeting has been substituted with the Suicide Prevention Information Meeting. This meeting will be conducted by the Bridgewater-Raynham Regional School District. The meeting will start at 6:30 pm on February 28th, 2010, at the Bridgewater-Raynham Regional High School Lecture Hall, 2nd Floor. We are hoping that you will be able to attend and participate in this most important issue in our community. This meeting is free and open to all. 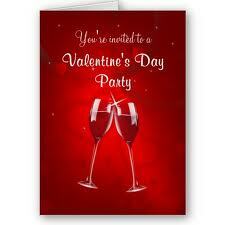 Join The Senior Center for their Valentine's Day Party. Mouth watering home cooked pork roast dinner followed by entertainment by Jerry Gotshalk. A $3.00 donation is suggested for the event. Space is limited so please call 508-697-0929 to reserve your spot. Parking and access to the Community Room are at the rear of the police station. Following a disaster, community members may be on their own for a period of time because of the size of the are affected, lost communications and impassable roads. A large scale event will prevent people from accessing conventional emergency services. 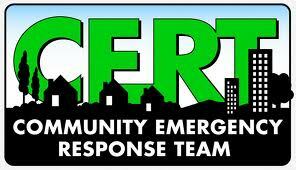 CERT programs in communities across the country support local response capability by training volunteers about the hazards they face, to organize themselves at a disaster site and to provide immediate assistance to victims until help arrives. Bridgewater's CERT training consisted of 20 hours of instruction to local volunteers in topics including Disaster Preparedness, Medical Operations, Damage Assessment, Fire Suppression, Terrorism and Light Search and Rescue. The curriculum, taught by local professionals and experts, is aimed at teaching citizens how to help themselves, their families and their neighbors in the first critical hours and days following a large scale natural or man-made disaster. Additionally, CERT members received American Heart Association CPR certification and participated in hands-on skills during 10 weeks of training. Members are encouraged to continue their involvement in the program through advanced training classes, refresher courses, simulation exercises and non-emergency town events. Wally Krueger Way Bridgewater, Ma. Requested donation is $3 per person which includes sampling the chili and a chance for a door prize. Don’t be left out in the cold. Join the fun at the cook off. There will be raffles, a silent auction, snacks, desserts and festive music. Kicking off the 2012 Relay For Life!